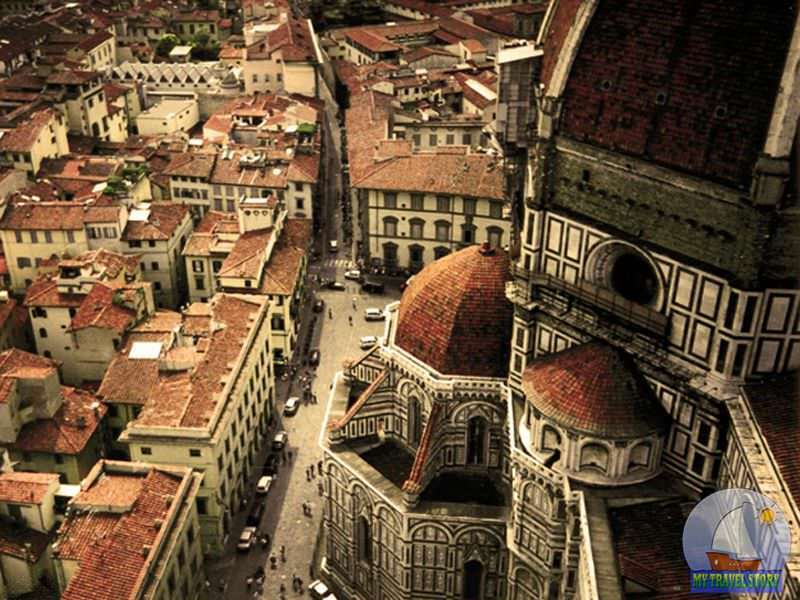 Almost all sights of Florence of the period of the Renaissance are entered in the list of the World heritage of UNESCO. And Florence is one of the most popular tourist centers of Italy. Uncountable churches, cathedrals, art galleries and many other sights expect the tourist, thanks to our article, you will be able easily to orient and choose those sights of Florence which you most of all wanted to see. Santa-Croce ? magnificent Gothic church, one of the best sights of Florence. It was constructed in 1294. Since then it many times was reconstructed and improved. For more than 7th centuries of its history in sight many famous cultural figures and arts of Florence are based. Graves of such most great geniuses as Michelangelo, Galilei, Giberti and Machiavelli use special respect. The amazing Gothic interior of sight is decorated with the frescos of Giotto and his pupil Taddeo Gaddi, known to all Florence, which decorated with the masterpieces not one church, and not one cathedral. It is interesting to know that used services of these famous masters far outside Florence. It is worth visiting this church anyway. The gallery of Academy is famous not for the name, but ingenious creations of unsurpassed masters of the period of the Renaissance more. One of such “immortal” sights is the marble statue of “David” for the sake of which many also come to Florence. The whole 3 years Michelangelo worked on this statue which for 5 centuries became an integral part of Florence, and her the known sight. But the gallery of Academy has not one of this masterpiece. In it works of less famous authors from Florence, various sculptures and statues with centuries-old history, and of course ancient frescos which decorated almost all walls of Academy are also presented. Most of tourists with admiration consider exhibits of gallery, and many visit this sight of Florence several times. But you should know that an entrance to gallery of Academy paid. From each visitor, it is not dependent on age, the payment in 6,5 euros is raised. To look at special exhibitions, it is necessary to pay a certain sum which often changes. It is more detailed to learn about these special exhibitions that pass across all Florence, you can at the tour operator. The sight begins the work at 8:15 in the morning, and finishes at 6:50 in the evening Tuesday through Sunday. In our opinion, it is the best of all to visit gallery in the evening. Thus, you freely can visit many other sights which in Florence there is a lot of. 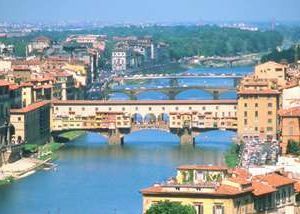 Sight Pontus Vekkio – not just one of the oldest bridges of Florence, but also the real symbol of the Florentine freedom. And it because nazis during retreat from Italy in 1944, tried to blow up this majestic bridge through the river Arno. They bombed sight from all directions, but the bridge did not fall. It is interesting to know that in 1966 in Florence there was a severe flood, but also here the bridge stood indestructible. Here such it is a symbol of freedom of Florence and one of its best sights. On the one hand the bridge of the power decided to put a bust of one of the most famous jewelers of Florence – Benvenuto Cellini. Very few people know that on the bridge over shops really there is a confidential pass which serves for involvement of tourists in this sight of Florence now. And about for what it was used earlier, you will be told by the guide. The sight of Uffitsi is the best in Florence and one of the galleries of arts, greatest in the world. Collections of this sight are presented generally by painting of the period of the Renaissance. Also here works of authors famous for the whole world are presented, by the way, many of them were born in Florence. It is possible to distinguish Giotto, Masaccio, Sandro Botticelli, Titian, Caravaggio from the most famous and dear masters, well and of course geniuses Michelangelo and Leonardo da Vinci. At an entrance to this sight, you will at once see ancient Greek and Roman sculptures which will spend you along corridors of gallery to exhibits that are chronological developments of art in Florence from a gothic style to the High Renaissance. The quantity of exhibits of a collection which was so inspiring that for full understanding it is necessary to visit twice such sight of Florence as gallery of arts. 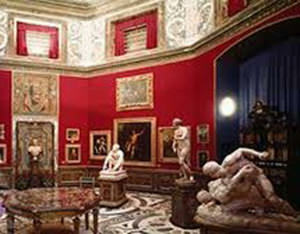 It is checked in practice that at the first visit it is necessary to consider exhibits from 1 to 15 numbers (Revival in Florence). And at the following visit of sight it would be necessary to study in more detail numbers from 16 to 45 (The high Renaissance in the Italian and European painting). Operating time and cost of visit it is similar Galleries of Academy. 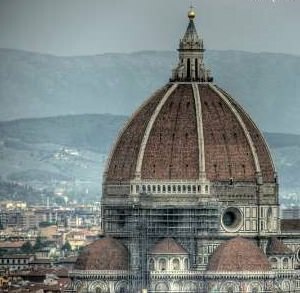 Article provides the list of the main sights of Florence ? the beautiful city of Italy, the former cultural center of the Renaissance. Interesting photos are attached.